Some of these are usual suspects in annual resolutions. But I thought number 6 was pretty neat – Learn Something Exciting. And I think I am going to adopt that one for myself! Make this year a great one by journeying with a Saint! It’s a great opportunity to be inspired by someone who found the sweet spot between living life and growing toward holiness at the same time. You always have that saint accompanying you in your prayer and daily routine. The Church has so many examples to choose from … the question is, then, how do we pick one? 1. A spiritual director told me once, “We don’t choose Saints; they choose us.” If this is the case, we should begin praying, asking our unknown saint to reveal him/herself to us. 2. Keep your eyes and ears open. Saints can adopt us throughout the year (this past year I received St. Francis of Assisi on New Years, and St Raphael the Archangel during my annual retreat. Saint Padre Pio kept interrupting my life off and on throughout the year as well). Maybe the holy card you were given was put in your path because that saint wants to help you. Or that book you received on a particular saint ended up in your hands because that saint wants to accompany you. Or maybe a particular quotation or passage from a saint kept turning up in your email or reading. Maybe you came across a saint you didn’t know well, and found yourself captivated by a particular virtue. These are all good reasons that maybe your patron saint is right under your nose, just waiting for you to welcome him/her into your life in 2014. Explosive temper? Saint Louis de Montfort. And these are just a few. Still stumped for a Saint? You can use Jennifer Fulwiler’s Saint Generator that will randomly assign you a saint. It’s also a fun way to get to know some new Saints. 3. Next, make a prayer card (or buy one) of your particular Saint, or print out a prayer from the internet. Put it in your prayerbook or Bible, somewhere you will see it everyday. Find a book on your Saint, and read it. Get to know the Saint as an intimate friend. His or her life might have the key to unlock your troubles and set you free. 4. Leave a message in the comments below letting us know what Saint chose you. It might not make sense at first, but you will find through the year, if you ‘hang out’ with your Saint, you will find graces unfold! 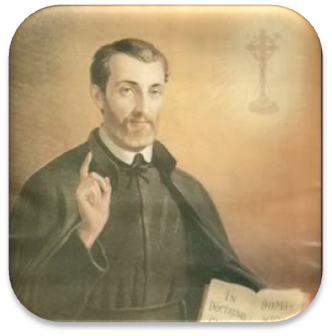 In our Canossian family many of our communities continue the tradition of being given a patron saint. On New Year’s Day, we will each draw by lot our Patron Saint for 2014. I’ve written about this practice before, and we have had some awesome saints! I can’t wait to find out which saint chooses me this year. What about you? Who chose you? What Saints did the Canossian Sisters receive? 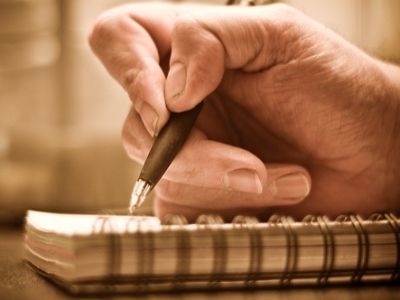 What kind of Resolutions do Saints Make? And here is another way to get a Saint, Micah Murphy’s Draw a Saint! Today’s Reading from the First Book of Samuel (18:6-9), follows upon David’s victory over the Philistine. It describes King Saul’s entry into the city and how women came to meet him singing of the victory. “They give David ten thousands, but only thousands to me. Jealousy is a cousin of envy (wishes the good in the other diminishes). It is a fear of losing what one possesses – in Saul’s case, the kingdom – to another. Is there a corner in our inner-lives where we fear losing a best friend to another, or a job, or status? For where jealousy and selfish ambition exist, there is disorder and every foul practice. But the wisdom from above is first of all pure, then peaceable, gentle, compliant, full of mercy and good fruits, without inconstancy or insincerity. When we find disorder (that can manifest itself as deceit, ill will for another, etc), it is an indicator that our hearts need an adjustment. If not, we might find ourselves causing harm to the innocent, just as Saul had threatened to do to David. What might have been the right attitude for Saul towards David? How could he tame his jealousy? How can we tame ours? Saint Thomas Aquinas would recommend applying the opposing virtue to overcome vice. In this instance, since jealousy is a cousin of envy, we might want to work on the opposing virtue of kindness towards the one who brings out the fear in us. What might have happened in the story of King Saul, if, instead of harboring his fear of David as a threat to his power, he exercised benevolence upon David? He would have had an open heart to discover David’s sincerity and faithfulness. Perhaps he would have found a true friend, rather than forcing David to become the enemy he most feared. For a look at the “green-eyed monster”, Fr Jon Hansen, C.Ss.R. wrote about it at Redemptorist Preacher. Get Clean: Is Confession that Simple? It's Christmas all over again! Convent tradition, we receive a Patron Saint for the year on New Years-My Patron is Our Lady of Good Counsel. Each Sister of my religious community receives a Patron Saint for the year, along with a mandate to pray for an intention of the Church and/or of our Religious Institute. This year’s line-up of Saints is pretty formidable (at the bottom of the post, there is a very helpful Saint Finder that can help you locate a Patron Saint for 2012)! Sister Teresa received Blessed Cesar de Bus, Founder of the Priests and Sisters of Christian Doctrine, Patron of Catechists (our primary ministry). Pray for our Ministries of Charity: Catechesis, Care of the Sick, Education, Formation of the Laity, and Spiritual Exercises. Sister Elisa received Saint Alphonsus Maria de Liguori, Doctor of the Church and Founder of the Redemptorists, Patron of Vocations (God knows we need more workers in the vineyard!). Pray for the increase of Holy Vocations to our Religious Institute. Sister Felicity received Saint Teresa of Avila, Doctor of the Church and Refoundress of the Discalced Carmelites, Patron of Religious and of Headache Sufferers. Pray for renewal of the Canossian Religious Institute to its original fervor and Foundress Saint Magdalene of Canossa’s intention. Sister Jenny received Saint Cajetan, Founder of the Theatines, and was known for his concern for the corruption of priests, and for the sick in hospitals. He is the Patron of the Unemployed. Virtue of Faith in Divine Providence. Pray for the Protection of the Church against scandal and corruption. Lastly, my Patron Saint is Our Lady of Good Counsel, whose image is linked to a mystical appearance of a painting in the town of Genazzano, Italy on the Feast of Saint Luke (April 25). She is the Patron of those seeking clarity/enlightenment. O Mary of Good Counsel, inflame the hearts of all who are devoted to you, so that all of them have shelter in you, O great Mother of God. O most worthy Lady, let everyone choose you as teacher and wise counselor of their souls, since you are, as Saint Augustine says, the counsel of the Apostles and counsel of all peoples. Amen. Pray for the Provincial Council of North America and for the Institute’s General Council. Saint Michael the Archangel, Pray for Us! 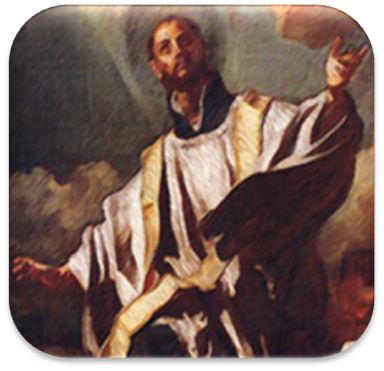 Saint Cajetan, Pray for Us! Servant of God, Sister Fernanda Riva (FdCC) Pray for Us! Servant of God, Sister Luigia Grassi (FdCC) Pray for Us! Saint Josephine Bakhita (FdCC) Pray for Us! Saint Magdalene of Canossa, Our Mother Foundress, Pray for Us! Mary, Our Mother of Sorrows at the Foot of the Cross, Pray for Us! Now, it’s your turn! Have you chosen a Patron Saint for 2012? If you need help, you might want to try Jennifer Fulwiler’s Saint Generator. Offer a prayer to the Lord, asking Him to provide you a Saint companion for this year. When you are ready, go here. Be prepared to be pleasantly surprised. And, I would love to hear who your Patron for 2012 is, so report back in the comments, or send me a tweet! Blessed New Year everyone! Let us start off right, and let the Lord and our Saints take every step with us! The video does a good job of telling a story in three minutes. The boy has to make a decision to either help the girl live, or let her perish. Because he helps her escape, he is reprimanded harshly. He could have chosen differently and received reward, but to what end? To whose sacrifice? This month of September has two important feasts dedicated to Mary, the Mother of God. On the 8th, we remember the Birth of Mary; and on the 15th, we commemorate her under the title of Our Lady of Sorrows. In the example of her life, she was willing to make a choice that changed her life forever; and in her offering of her life to God in this way, she became an instrument that changed our lives too. What choices do we make? Whose lives are made better because of them? Can we, like Mary, put ourselves aside and realize its not about us? The Bright Maidens posed this theme for this Tuesday: “Catholic Modesty”. At Saint Mark’s Basilica in Venice, I found it odd when people entered wearing tank tops for an usher to hand them a disposable shawl, made of paper fiber, triangular in shape, and bright yellow. No bare shoulders, and no shorts allowed within the Basilica’s walls. That’s pretty much standard procedure for all of the major basilicas throughout Italy, and most of her Churches. Outside of Saint Peter’s Basilica, one can’t miss these signs warning that those wearing shorts and/or tank-tops, they will not be allowed to enter. I’ve witnessed the refusal many times. A tourist arrives at the steps of the Basilica, and is pulled aside, and told she cannot enter unless she has something to cover her shoulders (or legs). The well-informed tourist will whisk out of her backpack a long shawl and tie it around her waist as an instant skirt. If the tourist can’t comply, they are turned away. At times, I wished there was such a dress code in our Churches here in the States. Just this past weekend, I attended Mass where a baptism was being performed. The mother of the child was wearing a mini-skirt and a single shoulder tank top (sporting a tattoo no less!). The godmother was sporting an even shorter dress and a tank top with her black undergarments showing. The women were constantly adjusting their skirts, aware that they were a bit short. This, of course, distracted from the beautiful moment of baptism. However, it appears the trend for greater modesty is on the rise. “The idea for the posters came from longtime parishioner…(a) homemaker, mother of four, and chair of the Parish Council, said she became tired of her teenage daughter asking why she couldn’t dress like some of the women she saw in church and her teenage son not concentrating on the Mass. What do you think? Is Fr. Otero over the top to suggest a dress code? Should our churches strive to challenge parishioners to ‘give God their best?’ by being more conscientious in how we dress? On the feast of Saint Joseph, the Husband of Mary, I went to the Parish of St Joseph’s, hoping to find a Mass, but all was quiet. There are no Masses usually on Saturday morning, but being the Church’s patron saint, I hoped. Instead, I decided to pray before the statue of St Joseph in the courtyard, meditating upon his role in the life of Jesus. Praying the joyful mysteries of the Rosary, I marveled how, unlike Mary whose words resonate in the telling of the salvific story in the Gospels, a constant fiat to God’s will, Joseph’s voice is not heard. We hear, perhaps what he was thinking (‘Mary was found with child…(he) decided to divorce her quietly’), but never do we hear Him, but in silence obeys in his own service to God. Though his actions, he proves the mettle of his character. A faithful servant of the Most High. On Ash Wednesday I learned that a former employee sent a three-page letter to several bishops accusing me of everything from drug addiction to multiple sexual exploits with her and several other adult women. There seems to no longer be the need for a complaint to be deemed “credible” in order for Church authorities to pull the trigger on the Church’s procedure, which was in recent years crafted to respond to cases of the sexual abuse of minors. I am not accused of that, but it seems, once again, that they now don’t have to deem the complaint to be credible or not, and it is being applied broadly to respond to all complaints. I have been placed on “administrative leave” as the result of this. I’ll certainly cooperate with the process, but personally believe that it is seriously flawed, and is tantamount to treating the priest as guilty “just in case”, then through the process determining if he is innocent. The resultant damage to the accused is immediate, irreparable, and serious, especially for someone like myself, since I am so well known. I am not alone in this assessment, as multiple canon lawyers and civil and criminal attorneys have stated publicly that the procedure does grave damage to the accused from the outset, regardless of rhetoric denying this, and has little regard for any form of meaningful due process. All of the allegations in the complaint are false, and I ask you to pray for all concerned. There is a lot of speculation about Father Corapi’s case on the web, some coming to his defense, while others plant seeds of doubt of his innocence. And in this, I only look to Saint Joseph whose feast we celebrated as this story unfolded. Would he be sitting around speculating on this matter? How would this ‘righteous man’ respond to this sad news? His example in the Gospels, perhaps indicates, he probably would say very little, if anything, but at the same time, be a man of action, placing all in God’s capable hands. And perhaps, this is a message for us too. 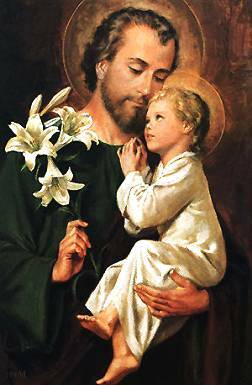 To understand the character of Saint Joseph, you may want to reflect upon the Seven Sundays Devotion to Saint Joseph, with each day’s consideration taken from Pope John Paul II’s Apostolic Exhortation “Redemptoris Custos” (Guardian of the Redeemer). March 31 – An Update via National Catholic Register: What is known, and what isn’t. The Anchoress demonstrates the proper attitude we need to have right now. Pat Archbold has a statement from Fr. Corapi’s superior, Rev. Gerald Sheehan. Fr. Dwight Longenecker reminds us to be wary of adulation of priests, and to not place them on pedestals. What is known, and what isn’t. Like all of us, the young woman has life breathed into her by God, created for intimacy with Him. And so starts out our own human existence, innocent and playful, intimate…but somewhere, we fall into various traps: the skit portrays the traps (temptations) of lust, avarice, alchoholism, vanity, depression, despair, which can lead to suicide. The skit was designed to pull at the emotions: the music is hauntingly beautiful, the words could be a love letter from us to our beloved. It is meant to make us question, “what is my ‘Everything’?” and “What are the traps that bind me, keeping me from the One who loves me as I am?”. Watching the story unfold, it does seem as though Jesus is powerless, no? One moment He is dancing with his creation, and at some point lust pulls her away from this union; and with it, her created innocence. In real life, this happens, but in much more subtle ways. Most of the time full-blown sin enters the soul by seemingly innocent curiosity… wanting to fit in, or the surrounding culture says tells us a television show or activity isn’t harmful. And by this very curiosity the soul lets down its guard and opens a window that allows something else (fill in the blank) be entertained. In the Gospels when Jesus says ‘one cannot have two masters’ (Luke 16:13, Matthew 6:24), this wisdom is applicable to more than money and greed; whenever we make a choice to compromise just a little bit, we open the window just a little wider for something other than God to enter in, and in doing so, we let ourselves walk away from that union with our Creator that we were designed for. Each time we lower our standards, or tell ourselves, ‘just this time’, we create another barrier between us and that perfect union with God. The helplessness portrayed by Jesus, as the girl goes from one temptation to another is the result of the gift of our free will. He has made us free to choose, so in a way, we make Jesus powerless to help us when we choose a lifestyle contrary to His love. The way back begins with a decision that we need God first and foremost in our lives, but it isn’t a magic trick that corrects itself automatically (although I do not rule out Divine intervention through special grace in some cases – I know this occurs). It requires our determination and will to return, or convert. Convert – the Latin convertere – means, “to turn around, transform”. What we see happening in the skit when the girl throws down the gun and starts trying to get back to Jesus, is this process of conversion taking place. It is a struggle of the will trying to overcome learned behavior – including how her mind and body have learned to respond to stimuli – takes a lot of her own effort. The skit shows her moving back and forth between different indulgences she’s experienced, as they ‘rear their ugly heads’ to again keep her from the One person who will shut them out for good. Just as it takes a soul a long time from that first instant she entertained a small step away from her union with God, so it takes a soul quite a bit of effort to put the acquired vices and sin behind her, and be free. She falls and fails, she gets up and tries again, until eventually, the hold of the old temptations on her life are less and less a threat to her goal – her renewed relationship with God. Seemingly, as in the skit, she has to go at it by herself, but true to scriptural teaching, she’s never alone. There’s another important aspect conveyed in the skit. As she’s struggling, Jesus seems to be pulling her toward him by an imaginary rope. This pulling effect is the working of grace in our lives. Whenever we are struggling to overcome sin or vice, and call on God to help us, He comes to our aid. Our problems do not miraculously disappear, but there is a hidden resolve or strength that keeps us from giving up. This is grace at work. This is why people who are struggling to overcome addictions and vice need to ask for prayer, and to stay close to the Sacraments. The simplest definition of a Sacrament is ‘an outward sign of an inward grace’. Thus, when we partake in the Sacraments – especially Reconciliation/Confession, Anointing of the Sick and Holy Communion on a regular basis – we receive spiritual help and support to strengthen us in the daily battle to grow in holiness and continual conversion. Little by little we find the hold of our vices and addictions on our lives less and less, as we slowly reunite ourselves with the One we were created for. What America do You Want? There has been a lot of buildup this past week for the Restoring Honor rally that took place today along the Washington Mall in D.C. Media speculated what kind of event it would be: political? ideological? racist? religious? anti-government? Throughout history America has seen many great leaders and noteworthy citizens change her course. It is through their personal virtues and by their example that we can live as a free country. On August 28th, come celebrate America by honoring our heroes, our heritage and our future. From the beginning to the end of the day, the event held true to these words. The participants used their time together to remember God, giving Him due praise and place in their celebration; honoring our military, past and present; and reflecting on the theological virtues of Faith, Hope and Love. The content of the day’s rally notwithstanding, the real testimony to the people in attendance came as the day came to a close and folks went home. It is here that the participants demonstrated the kind of people they are, and the kind of America that they live in. The orderliness, the spotless grounds of today’s sizable crowd versus the disorder, the filthy aftermath of that day which was suppose to proclaim an era of ‘change’. These images side-by-side make me reflect which group of people – by their actions – represent the America that I love and the America I want all nations to experience. In many spiritual writings I am often struck by the paradox involved in our call to holiness. Words often used to describe this quest linger in my mind: progressing, striving, climbing, self-discipline, reaching heights or levels, with each of these expressions of action able to mislead us. They suggest a physical movement, an effort we make to obtain holiness through our deeds and acts of piety. If we are not careful, we can leave our ‘ascent’ towards God at this level – a self-made, false, holiness and forget the true source of our sanctity which lies outside of our human grasp. Let’s use the scene from Luke, chapter 18 as an example. We have the Pharisee on one hand, who was probably a model citizen, well respected, and externally a tower of piety. He gave to the poor, fasted and prayed, was honest in his dealings with others, and yet, he fell short before the eyes of Jesus. Our culture today, like the Pharisee, often determines one’s worth by his accomplishments and status. It is easy to look upon others, such as the publican, who externally seems less, with contempt or simply presuming they ‘got what they deserved’. But how does Jesus see the publican? He doesn’t look at him on the basis of his status in society, nor in the eloquence of his prayer, nor by the works he has done, but solely in his reverence of God and his humility before the Almighty. “O God, be merciful to me, a poor sinner”. No eloquence here. The publican sees the truth of who he is in the light of God, and clings to God’s mercy as his hope. This is the power beyond our own capacity; we remain small and allow God to be great. Imagining these two figures in a dark room makes their contrast a stark one. The publican is bathed in light as he ‘humbly ascends’ towards God. The Pharisee, only feet away, is stumbling in the dark trying with all his might to illumine his own greatness so that others may see how high he has ascended. As was a common theology of his day, the Pharisee believed that his obedience to the law and man-made perfection equate with sanctity. The thrust of Jesus’ praise of the publican’s prayer opens a before-concealed door to the heart of God; it reveals how much God doesn’t want us to be self-made saints, but rather made holy through Him who is refuge and mercy. The Catechism of the Catholic Church states that perfection passes through the cross and that there is no holiness without renunciation and spiritual battle (CCC 2015). Renunciation is evident in the publican’s display of humility. It was once described to me that the spiritual battle as filled with often imperceptible barriers which mask themselves under the name of virtue; a virtue that in the end deceives us into climbing up the rungs of the wrong ladder disguised in our prayer and works of mercy. The problem with going up the wrong ladder is when we meet with obstacles of fatigue and unpleasant situations, we have nothing solid to stop our fall – it crashes down like a house of cards. We begin to think like the Pharisee that believes he has done everything right, so “why is this happening to me?” Our failing in these circumstances lead to discontent, envy, and maybe even despair. These feelings are signs we are going in the wrong direction. The right direction is pointed out to us by the publican whose prayer is focused solely on God, and who was perfectly comfortable to admit his lowliness. It is in moments such as these, we can choose to be the Pharisee and cling to our external shows of piety, hoping all will notice our virtue. Indeed, the world will congratulate us for our ‘goodness’. We have a choice, and can dare to follow the publican’s ascent down, off the ladder of external practices and perfectionism, into the depths of true humility where we risk to lose position and esteem before others. It is here, before God, we are not afraid to cry out, “Have mercy, O God, I am a sinner” and be wrapped in his grace. Here we can place ourselves before the Lord, in His light which reveals how truly small and broken we are…and not be afraid to be home there. There Really are Dangers in not Reading the Bill! As the healthcare debate heated up through the Summer and into late Winter, I remember my agony watching the size of the healthcare bill grow to the monstrous 2700 page bill that was signed into law in March. Many had warned of the dangers of not knowing what was in the bill, and I guess Congress may finally be catching on to that. The New York Times reports that “the law may “remove members of Congress and Congressional staff” from their current coverage, in the Federal Employees Health Benefits Program””. Uh oh. Does that mean that Congress, who probably “likes their healthcare plan, can cannot keep their healthcare plan” ? Allapundit points out that that this not the first blunder of after-the-fact realizations that there were mistakes in the bill, but only another in a series of “Uh oh” moments (pre-existing conditions of children and college students on parents’ plans). And it probably won’t be the last. This recent comedy of errors, of Congress voting themselves out of their own federal healthcare plan, has a very good lesson for all of us. Haste makes waste. All of the intense rush to pass something in order to bring about an ‘historic moment’, has revealed an extreme lack of virtue in those sent to Washington to represent the American people. Congress demonstrated a lack of prudence – a willingness to do good in a good way – replacing it with impatience that drove them to do anything at any cost to pass an healthcare bill. If they had practiced prudence, they would have been wary about consigning a sixth of the economy for a healthcare bill that they hadn’t even read. If they had practiced prudence, they would have welcomed opposing views so that they could do something good for the American people – not to gain a memory in time. If they had practiced prudence, they would have had the humility to admit that the bill wasn’t ready, and according to the will of their constituents, they would not have even considered bringing it to a vote. If they had practiced prudence, they would have dug down, and looked at what was good in the long run, and with fortitude (perseverance) would have kept at it until it was done right. If they had practiced prudence, they would have tempered their own desires and ideologies and not have allowed them to ride over the top of the voice of reason (common sense). If they had practiced prudence, they would have looked to the natural law which tells us that God is our provider, not government. This is to exercise the most basic form of justice: respecting God’s role and respecting the liberties granted man through God’s providence. It is this kind of justice that our Constitution was built upon. What surprises me is that one does not need to be a Constitutional lawyer to know this: he has only to read our Declaration of Independence. The above outlines only some of the examples of the problems along the road of healthcare ‘reform’ that should have been seen as warning signs that those who were pushing for the passage of the bill were misguided. Congressional and Executive leadership allowed their passions to rule their hearts. In the history of the world, this has proven to be the fall of kingdoms and empires. It is also the reason the Founding Fathers foresaw the need of a restricted government. They understood that man, although has great potential to be very virtuous is flawed, and that even the best of them can easily can be led by his carnal lusts (desires) if not held in check. This has led us to where we are now. We are now on a path created in haste that jeopardizes our way of life, our economy, our status in the world as a champion of democracy and freedom, and for what? For an historic moment in time – perhaps, God forbid, a moment when the greatest free-market economy in the world collapses. What a waste.